Chris Akporoghene isn’t your typical high school offensive tackle. The talented, big-bodied offensive lineman wasn’t even playing American football four years ago. It wasn’t until he moved to the U.S. from Nigeria that he first picked up a football. Akporoghene (pronounced Ak-por-roh-guh-ney) moved from Nigeria to Tennessee to pursue a better life, and he was already a gargantuan human being as a young teenager. He played basketball as a sport but had never played football before. Powell head football coach Matt Lowe, his former coach at The Kings Academy in Seymour, took Chris in as part of his family, and he wanted to try him out at football despite the lack of experience. “Physically, when he walked through the door the first time, you knew ‘hey man, this kid’s got a chance,” Lowe told me. 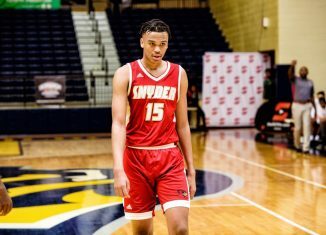 “At the time he came in as a 15-year-old he was probably 6-foot-3, 230 or 235 pounds, but you saw that there was a chance that this kid was going to be a player. 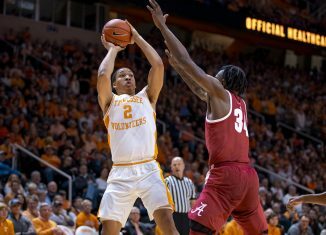 Lowe said that Akporoghene “arguably might have had one of the worst three-point stances you’ve ever seen” when he first began playing. Lowe and his staff thought he would be perfect fit at tight end given his size and experience playing basketball. But they were quickly proven wrong. After playing defensive end for a year, Akporoghene was moved to the offensive line. But his lack of knowledge about the game of football made Lowe have to go back to his roots as a coach. Akporoghene was a blank slate for Lowe and his staff to help mold. And it didn’t take long for them to see just how much potential the huge lineman had. 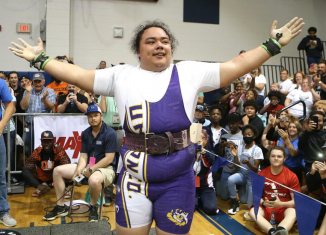 Lowe says that it was during Akporoghene’s first ever high school football game when TKA was taking on Seymour during his sophomore season that he first flashed his skills. 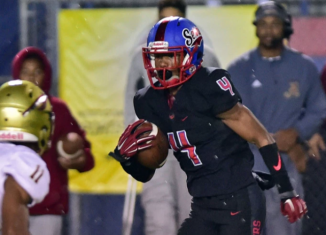 “I’ll never forget … it was the first game he ever played in a high school football game. 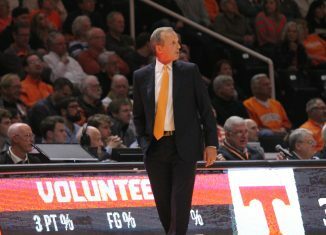 (After the game) I went back and started watching the clips of that game, and one play stood out to me,” Lowe said. “It reminded me so much of what you see in these young, undeveloped kids who simply have raw strength. There was one particular play I ended up putting as the first play on his highlights for most of his sophomore year where he basically latches on to a defensive end — he was playing right tackle at the time — and the ball was snapped at the 20-yard line. He let that kid go when they got into the end zone. He just grabs that kid and runs him backward into the end zone. Akporoghene quickly learned and started capitalizing on that potential. According to Lowe, the now 6-foot-4, 290-pound lineman is a perfectionist who is constantly working on trying to fine tune his game and get better. “The great thing about Chris is he’s very devoted to his craft and very devoted to learning,” Lowe said. “Whether that’s in the classroom or some of the social things or the game of football, he’s very devoted to learning. He’s a perfectionist. He wants to get things right and get them mastered. … He’s one of those young men who will go out there and work the entire practice, then when practice is over he’s off working on his own. Lowe went on to tell me that Akporoghene would be out on the field at 6:30 or 7:00 AM for 8 o’clock workouts during the summer. But it’s not just his attention to detail and work ethic on the field that stands out to Lowe; it’s his mentality and devotion to learning more about the game. But there was only so much Akporoghene could do in a small town outside of Knoxville. And he had a tough decision to make after his junior season. Akporoghene was quickly outgrowing the competition in Seymour and the surrounding east Tennessee area. He had attended several camps over the summer before his junior year, and he went out and impressed during his junior season at TKA. But Chris wanted more, and Lowe understood that. Lowe added that the competition in east Tennessee is great, but the level of competition Akporoghene would experience not only in games, but just in practices alone at IMG Academy would be an opportunity that could lead to something greater for him. Akporoghene blew up on the recruiting trail and has nearly three dozen scholarship offers to his name now. But it took longer than expected for the “home town” team to finally offer him. 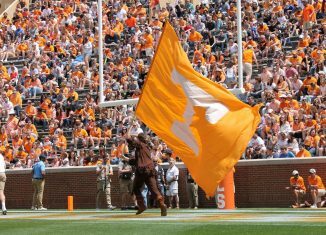 Tennessee’s previous coaching staff never offered Akporoghene despite him visiting campus several times while he still lived in the Knoxville area. And that lack of an offer led to irritation on his part. “I think there was some basic frustration,” Lowe explained. “Any kid who grows up in this area, and even though he didn’t grow up here from an early age, what he knew of big time football he experienced here. We had the opportunity to go to a few games his sophomore year, and he got to see what that big time environment was like. And during some of those visits he would get a little frustrated because the offer didn’t come. 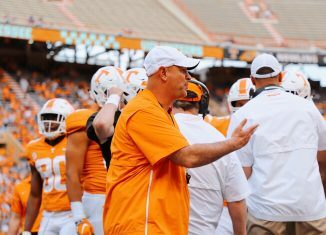 But according to Lowe, “things started to change” once Jeremy Pruitt came in and new running backs coach Chris Weinke started recruiting Akporoghene. Weinke was a coach at IMG Academy for years before taking a job as an assistant in the NFL. He then moved on to become an off-field assistant at Alabama, and Pruitt hired him as the Vols’ running backs coach this offseason. He has a connection with IMG, and he started to build a relationship with Akporoghene. 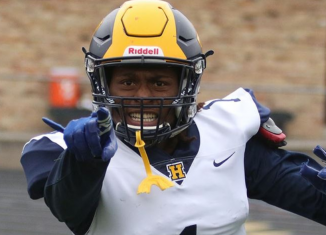 When Akporoghene attended a camp on UT’s campus in mid-June, he finally picked up that long-awaited offer from the Vols. 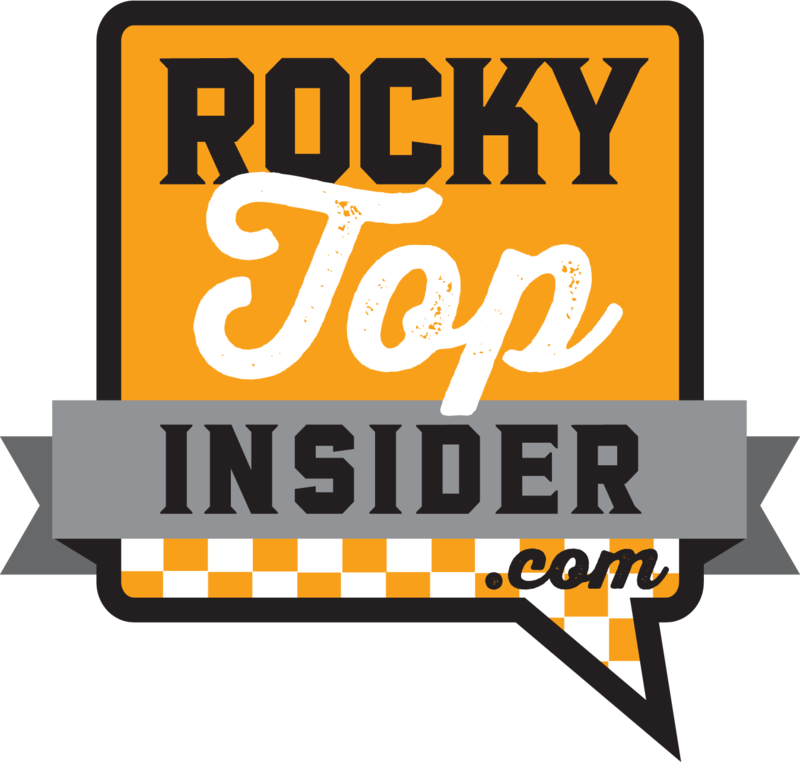 It was thanks to that relationship and the rapport Akporoghene built up with Pruitt and offensive line coach Will Friend that led to him ultimately committing to Tennessee. 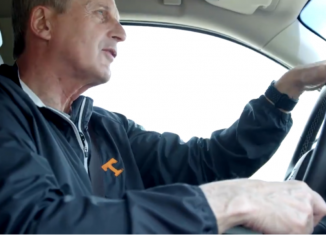 But the decision to choose the Vols somewhat surprised Lowe, especially after teams like Texas, Oregon, and Duke had been recruiting him harder for longer. 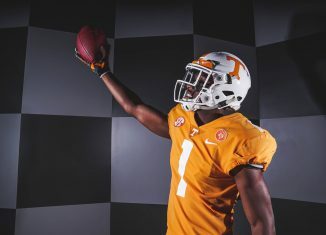 “It did and it didn’t (surprise me),” Lowe said of Akporoghene’s decision to commit to the Vols. 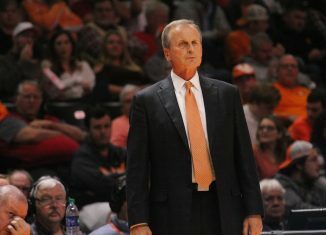 “It did because some other guys had put in a lot of time and effort in recruiting him. I know he was being pulled in some different directions and really liked some of the relationships he had built and was very impressed with the facilities and staffs he got to know through the recruiting process. 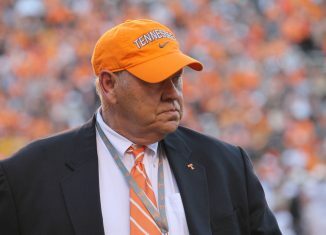 It was impressive that Coach Pruitt and the staff were able to flip him and get him as a commit at the University of Tennessee. 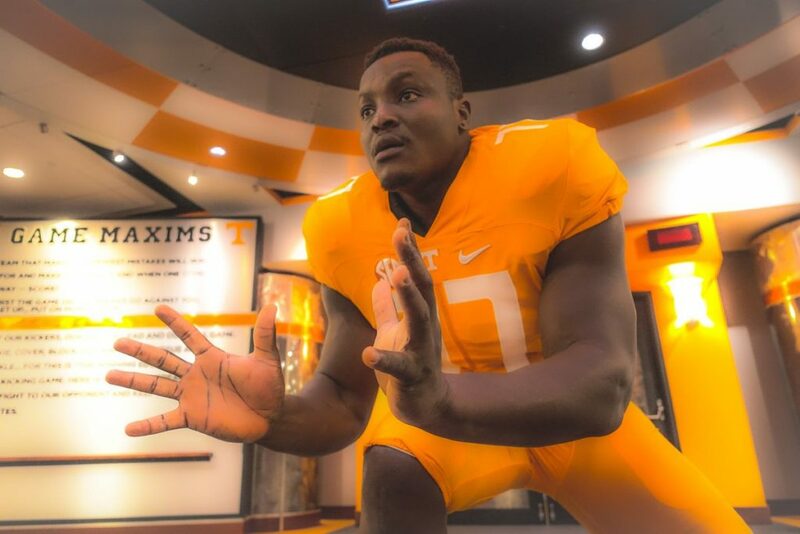 Tennessee needs help along the offensive line in a big way in the future, and getting a commitment from someone like Chris Akporoghene was huge for the Vols’ new coaching staff. What he lacks in pedigree, Akporoghene more than makes up for in pure physical strength and an unmatched work ethic. The Vols may have been slow to offer Akporoghene, but they’ll likely be glad they have him on their side once it’s all said and done.